It's been announced on Facebook at the beginning of the week and I also included the info in my newsletter (sign up here!) this week: coming up at the beginning of February is a brand new workshop with guest instructor Chikako Yamamoto, chef and baker extraordinaire (check her website here). 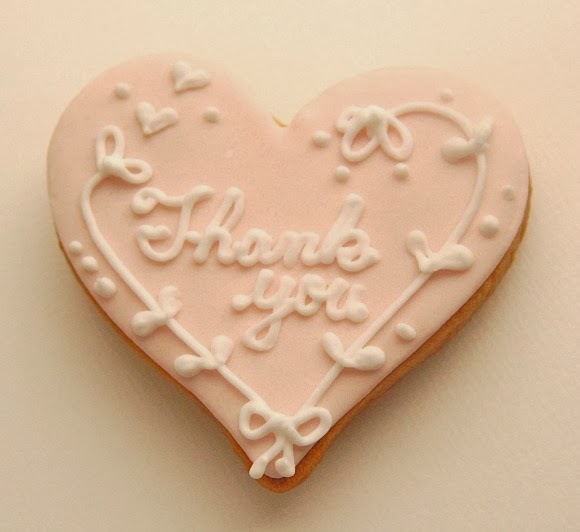 Chikako self trained herself at decorating cookies and she's creating very beautiful sets for different occasions such as wedding, birthday, graduation, christening etc... Her photo gallery is inspiring to say the least! We met for the first time last year in May when I organised the event A Taste of India and promised each other to do something together in the future (I have always been in awe looking at sugar decorated cookies!). 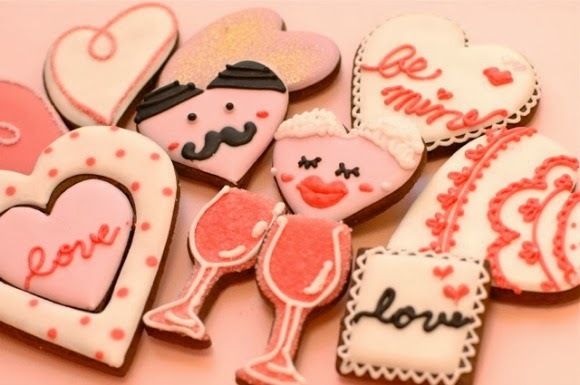 Our busy schedules prevented us to get anything planned before 2014, and I am grateful for Chikako to have emailed me after Christmas to suggest a Valentine's Day themed workshop! 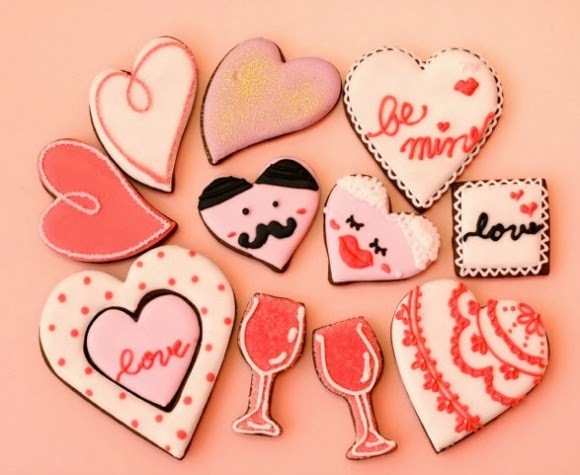 She will teach us how to decorate cookies in the prettiest way possible - just having a look at the pictures of this post says it all I guess... Each participant will decorate a set of 10 cookies to be brought home. They will learn how to apply the sugar, plain colors and more intricate designs. The reward after the hard work will be a delicious homemade lunch (cooked by yours truly) shared by all participants in a warm and friendly atmosphere. This workshop is organised in collaboration with Niki's Kitchen and although it booked out in just a couple of days (yeah!! ), you can always put your name on the waiting list: click here for more information (in Japanese). © All photos by Chikako Yamamoto - used with permission. 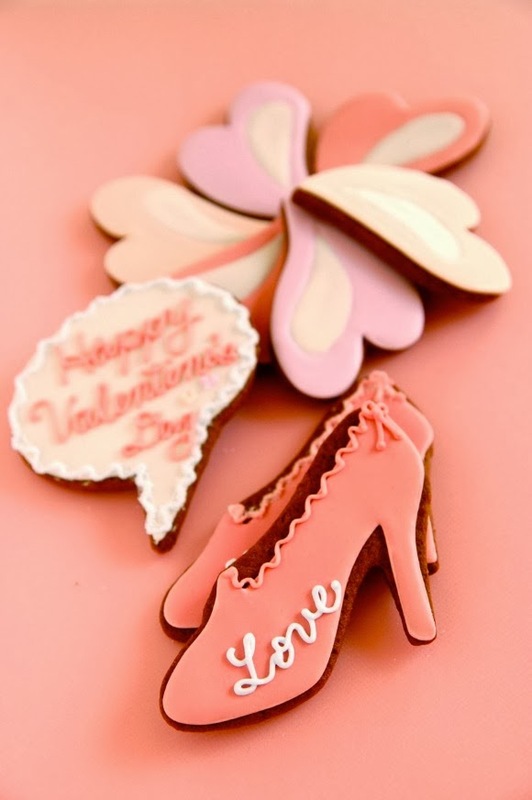 Your cookies are just perfect for the valentine. Love all these .